British, Brunswickers and what I suspect are Hanoverians! I like the square of riflemen. The last picture is obviously French but what action it represents I don't know. Very impressive but do wonder why the individual figure bases aren't flocked to fit in with the table cover. Glengarry5 the evidence collected in the last 30 years leans toward the French Guard attack at Waterloo was in Square formation. This was used a lot in 1813 as the French had a shortage of Cavalry. One Game who studied at the War college stated he read that Napoleon had stated that is mad the formation look bigger than it was. 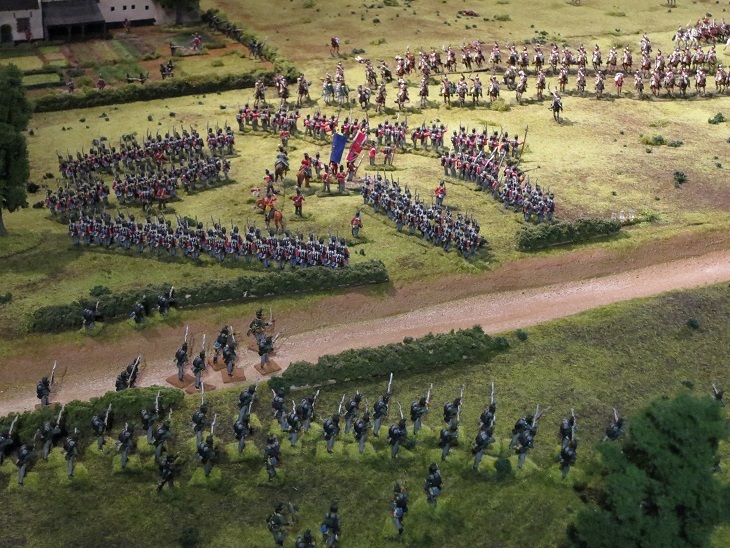 A British officer stated that you could see the French formation of Squares attacking from the dead bodies he saw inspecting the field the next day. The British lots of the British units where in columns of waiting [two companies wide] must of the day for they feared the French Cavalry and you could form square quickly from that start. the Squares in four ranks is a nice touch. The British like everyone else used a 3 rank system but the Battalions at all time should maintain it frontage. as most units went below the 33% loss mark it would end up in a two rank formation. Most unit started at this point do to campaign losses. This (from Nafziger) has been debunked to death by Major Snort. The British seem to have definitely used 2-deep line regardless of battalion strength at least in the primary theatres. On the flip side, I can't remember a single instance of 3-rank definitely being used in Europe. These are from the Dioramica event in Hann Munden. The Old Guard display is a Waterloo project. Very handsome, but should the Vielle Garde be in their Sunday best? That's a lot of figures! Any moment now, someone will be along to remind us incorrectly that they were the Middle Guard. Major Snort is he a member or an Author? 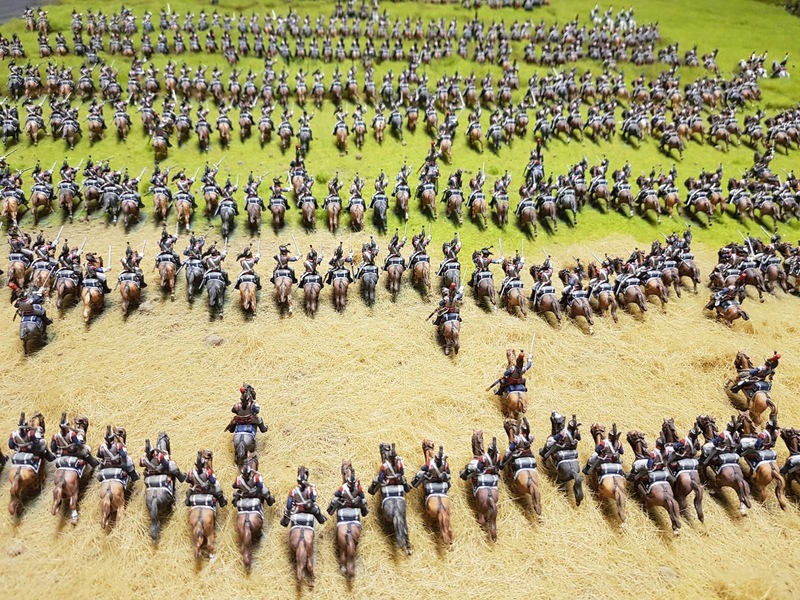 The joy of seeing so many cavalry charging – 1/72 at its finest. 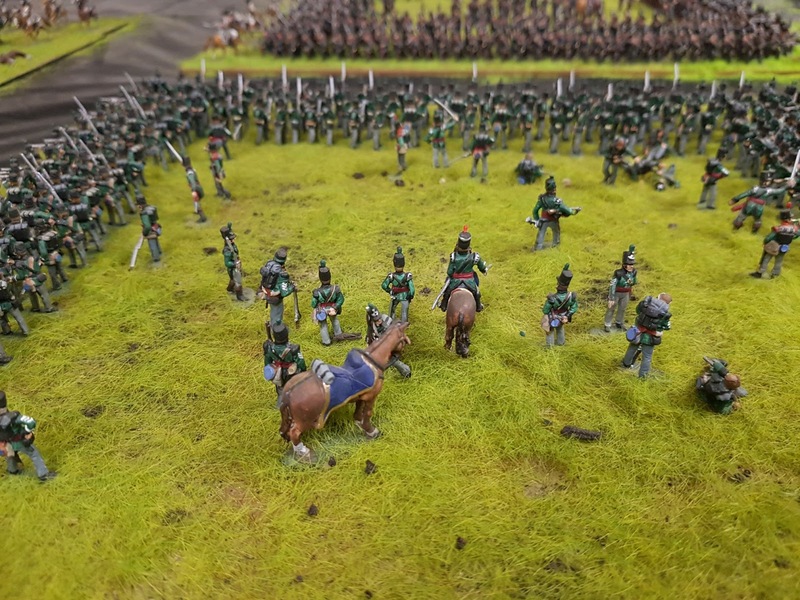 I once read an article in something like Miniature Wargames in which the author advocated collecting only figures wearing greatcoats and shako covers. Painted grey and black, they could then be any Napoleonic army. If that's not completely missing the point I don't know what is. It was Arthur Harman. IIRC he suggested doing that for the rank and file, and then do separate command groups for each unit. 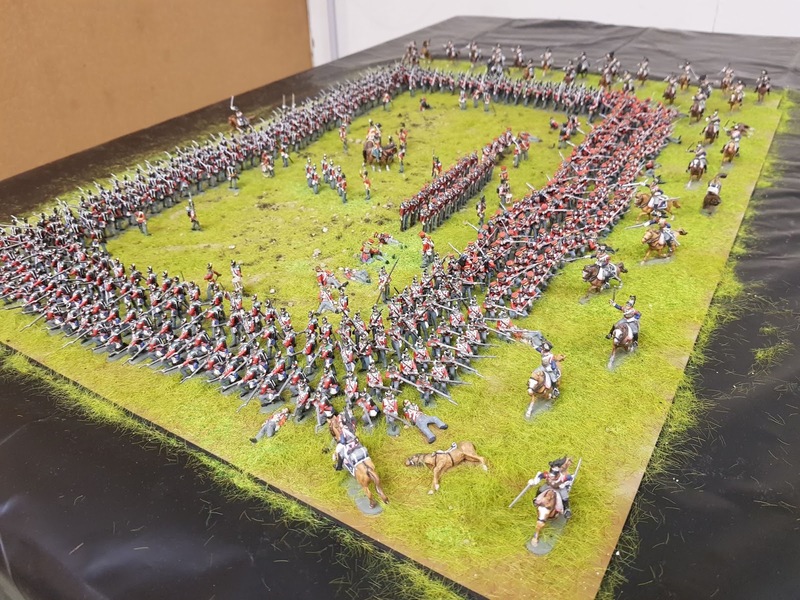 I thought it was a very clever idea for those who wanted to have many different Napoleonic armies but baulk at the idea of painting 1000s of models for each one. Another view would be that if you did that, you would not have many different Napoleonic armies though – you would not even have one. 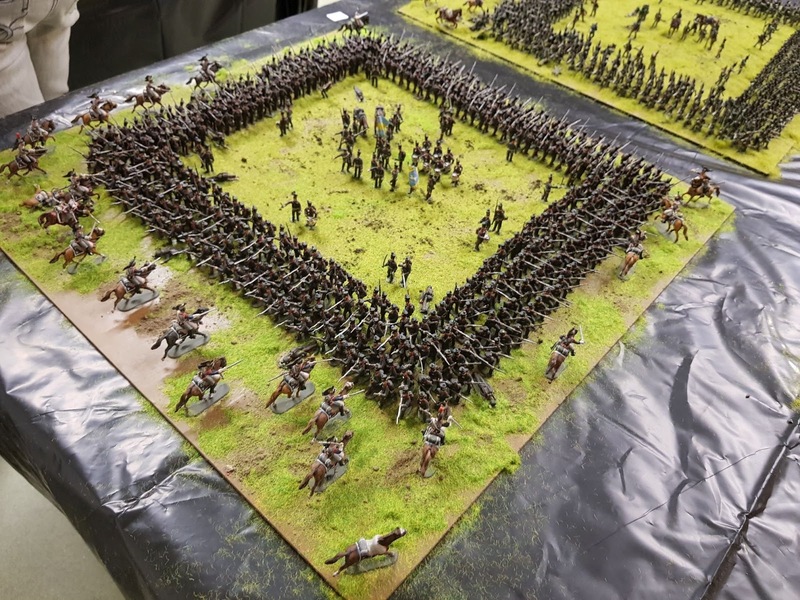 It might be good to show, at the same magnification/persepective, the relative sizes of a battalion line and a battalion square. Squares are tiny. I can't see that myself. As the original article pointed out, in some ways it would be just as accurate a representation as many others. "these are toy soldiers. Of course they are in their finest clothes." The discussions relating to accuracy and authenticity that take place on TMP now and then would suggest there is a range of opinions on that topic…. A four company battalion forming square. Not really much smaller than the column at half distance. That is huge casualties. 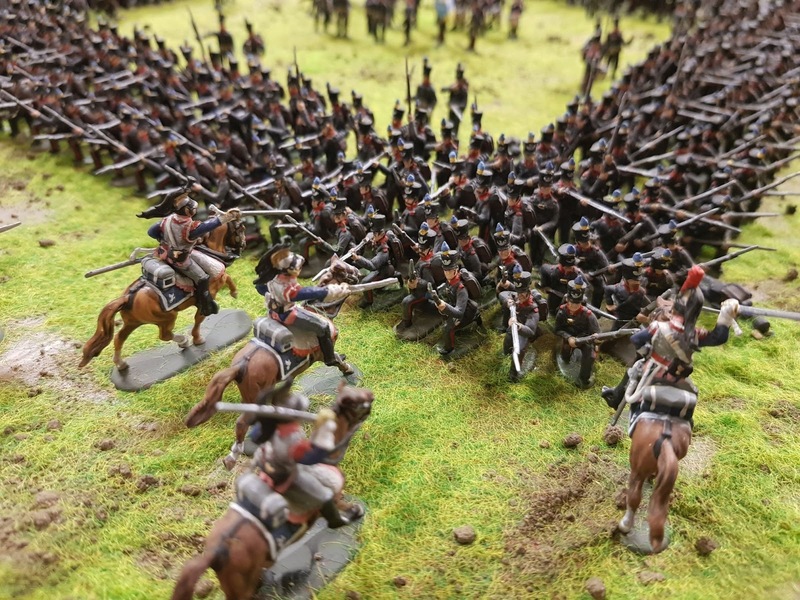 At Waterloo the enniskillens were notable for standing even after taking 1/3 casualties. Why not go the whole hog and use the same figures for all of say 1700-1860, in that case? Arthur's clever suggestion is actually more realistic than a lot of stuff that goes on without anyone batting an eyelid. 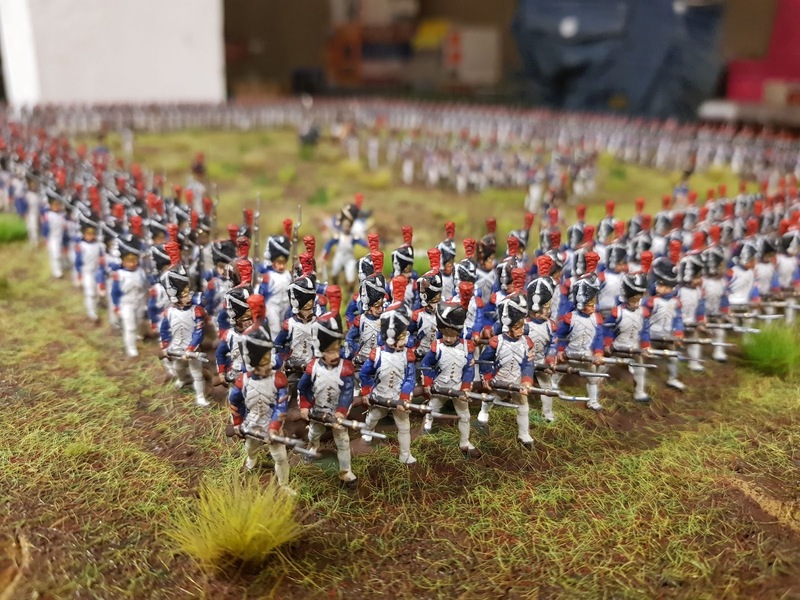 I wouldn't blink at using my Napoleonic armies for the Crimea, personally, nor using French figures designed for the Peninsular War at Austerlitz. In fact, they are on my tale right now doing Elchingen. They're the Guard, why wouldn't they be? As far as doing a couple battalions up in greatcoats and with cased colors, I should really do that. Maybe four battalions, to have 'filler' troops for two sides. That way, if the detail painting has fallen behind, I can still get a game in without the hideous sin of playing with unpainted minis. Because I generally agree with @Marc at Work, greatcoats are for WW2 (and WW1) games. 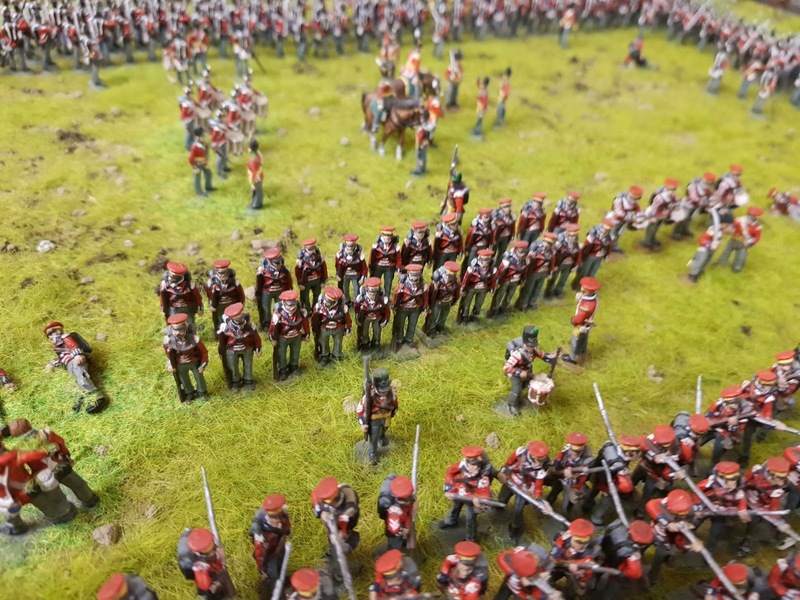 Napoleonics should be in full dress! The British were forced into squares of 4 ranks because their standard 2 rank formation would not be enough depth to resist cavalry. Most rules do not doc them for this when it comes to artillery fire on them. Rules I've seen nearly always give bonuses against squares. 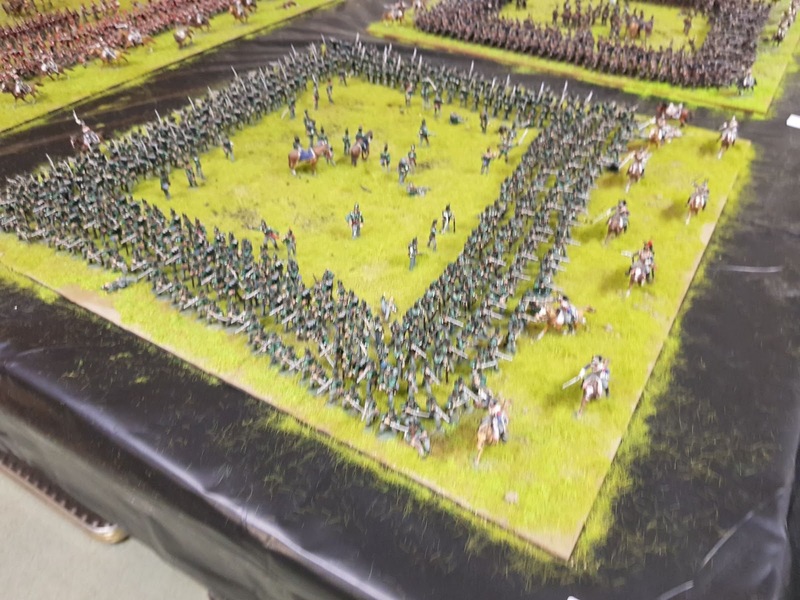 I thought most armies did 4 rank squares.